I had severe endometriosis and my gynecologist told me that it was very important that I conceive as quickly as possible. I had terrible period pains that would bring me into the hospital sometimes and as my periods got worse I would bleed 3 out of 4 weeks. I knew I had to be serious about getting pregnant right away. 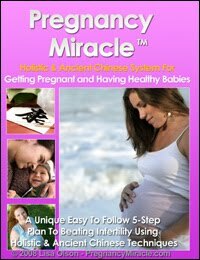 I followed many of the principles and practices that you have described in your Pregnancy Success program and through them I have been blessed with two lovely daughters. Blessed indeed, because soon after giving birth to my second daughter I lost my uterus and cervix. Now I provide support and counsel to friends and people of the community who are trying to become pregnant. I hope more women having infertility problems try your program. It’s about time that a woman who has gone through infertility writes a program such as this one and thank God you did. The experience of giving birth is unbelievable. Thank you and God bless you, Diana!